Hollywood's 'most loved' Blonde Bombshell! Scheme A Dream™'s Marilyn Monroe is very much alive and well. quick wit, song and beauty. no audience is too big or too small for this Class Act. one liners and mannerisms has the qualities and talent of any high caliber Vegas act. Treat your special Birthday event Guest of Honor with Presidential Status. "Diamonds Are A Girl's Best Friend", "My Heart Belongs To Daddy" ..
.. will leave them wanting more! 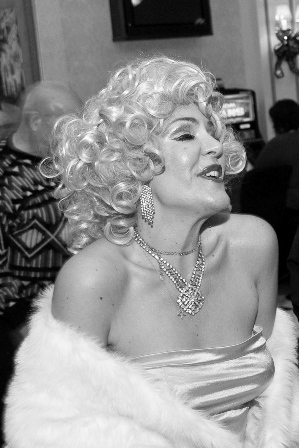 Marilyn Monroe will be the highlight of the event, to be remembered and adored by all!